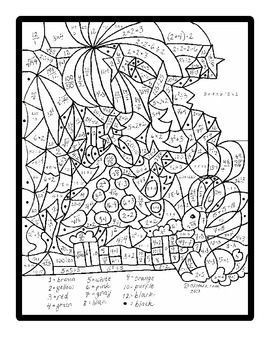 Here's a winter holiday color-by-number for 5th-7th grade math students. 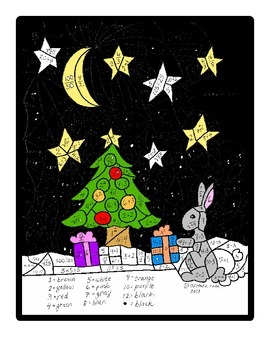 This fun activity has numbers represented by equations. For example, the number 12 might be represented by the square root of 144; 2 squared times 3; 3 to the second power plus 3; 48/4; or just the number 12. Perfect activity for before Christmas / holiday break, or as an indoor recess activity.